Pentagon has released a teaser video for the music video for their title track "SHA LA LA." Pentagon released a teaser video for the music video for their title track "SHA LA LA," "Genie:us" from their mini-eighth album, on their official SNS at midnight on 26. 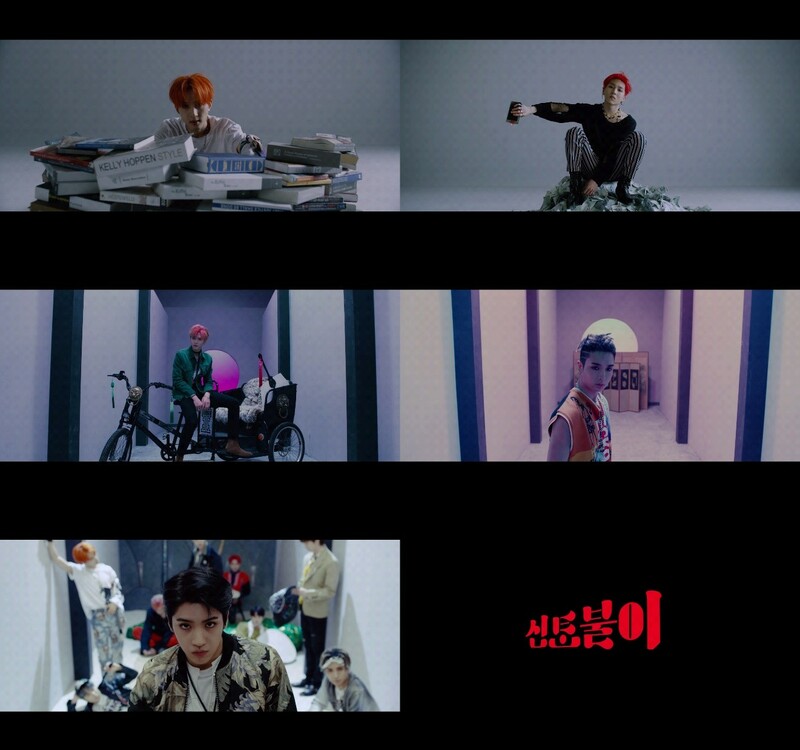 The released teaser video features rebellious images of Pentagon members as well as a chorus of melody and "SHA LA LA," which captivates the audience with the introduction alone, further raising fans' expectations for the new song. Pentagon's eighth mini-album "Genie:us" is an album that consists of full-length self-written songs, which will show off their artist-like appearance through the album. Pentagon's eighth mini-album "Genie:us" is released on various online music sites at 6 p.m. on 27.